There's nothing more luxurious than having a walk-in shower in the bathroom. Having space for you to stretch out while soothing warm water douses your body is a great way to rinse off not only the dirt and grime, but also the stresses of the day. 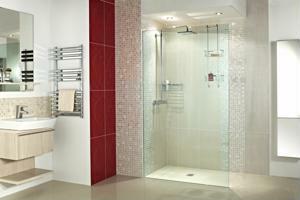 To ensure that you get the most out of your walk-in shower, you need to have the right kind of bathroom accessories. For the perfect shower experience, the proper shower panel should be installed. Look for a piece with a rain showerhead that will ultimately take your morning cleaning routine to a whole new level. You might also want to opt for a fixture with massage water jets that can help you relax after a hard day's work. Many models come with a handheld showerhead as well, which can help you clean hard-to-reach places. Do remember that a luxurious walk-in shower doesn’t have to be wasteful. Make sure that the shower panel that you'll be purchasing satisfies water efficiency requirements. This will not only help conserve water, but it might also lower your water bills.